Ajax Business Interiors offers office furniture liquidation services for businesses in Tampa, Clearwater, St. Petersburg, and all other Florida cities. We’re always looking to purchase quality used furniture in good condition. We can liquidate large office buildings or just a few offices of office furniture. If you’re moving to a new office or just need to dispose of your office furniture, contact us to see if we’re able help you out. 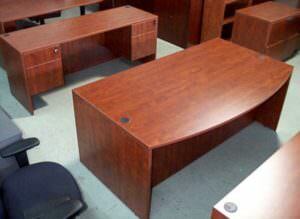 Office furniture liquidation is just one service we offer. We can also help you relocate to a new office building when liquidating your furniture, and we can even fill the space with new and used furnishings from our selection. So, if you’re looking for a one-stop shop for liquidation, moving, and furniture purchasing, Ajax Business Interiors is your solution. To inquire more about our office furniture liquidation process and to see if the furniture you are looking to sell meets our standards, please contact us today. Also, if you’re interested in purchasing furniture from us and would like to see what we currently have in stock, visit our 25,000-square-foot showroom / warehouse in Clearwater. We’re on U.S. 19 just south of East Bay Drive. Whether you’re here in the Bay area, in Orlando, Ft. Myers, Miami, Jacksonville, or elsewhere in Florida, Ajax can handle all your needs when you want to sell office furniture.